IMS & DBH proudly carries Fabco-Air Pancake Cylinders, Heavy-duty Hydraulic NFPA Tie Rod Cylinders, Fittings and Valves. Established in the year 1958, Fabco-Air remains at the top of the corporate ladder up to this today. 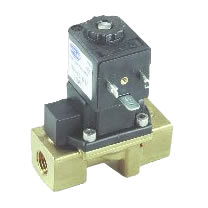 The company is well-known for its world-class products, solutions, and their provision in the pneumatic industry. Originally started their business in Cleveland, Ohio, Fabco-Air air transferred to a new facility in Gainesville. It has over 61,000 sq. ft. making it one of the biggest facilities that cover engineering, technical support, customer service, production, assembly, and more. Designed and created to serve the consumers, Fabco-Air’s offers the original Pancake cylinder that’s popular for its standard of quality. Overtaking the rest of the competition through consistency quality in management, it has become the face of pneumatic actuator designated for short stroke cylinders. Moreover, it holds a low-profile, compact-size, that would be the perfect item for taking on tight spaces. Their pancake cylinders, due to their immense growth and reputation, have a lot of imitators in the market. However, it can easily be distinguishable by their solid features – options, quality, and overall durability. Fabco-Air has taken versatility to a whole new level, there are eight bore sizes to choose from to ensure it’ll meet the consumer’s needs. The sizes are : 1/2″, 3/4″, 1-1/8″, 1-5/8″, 2″, 2-1/2″, 3″, and 4″. Their standard length of the stroke goes up to four inches. The cylinders aren’t just made with any material, but it has been crafted with only the finest in the industry. One of the best features that Fabco-Air, Inc. have is that it extends its service to their clients by delivering a number of features and options to take on any applications. The engineers at Fabco-Air uses the highest quality aluminum bar-stock for their cylinders. Additionally, their build is clear anodized, which makes it look aesthetically pleasing. Taking a closer look, the cylinders have been designed to resist corrosion, and the hard chrome plated stainless steel piston rod enhances the life of the item. Moreover, Fabco-Air’s cylinders have a non-metallic, Duralon® rod bushing. It gives power to the initial load bearing points as well as being pre-lubed with Magnalube-G® grease. Consumers have the choice to pick a magnetic piston for the purpose of position sensing. 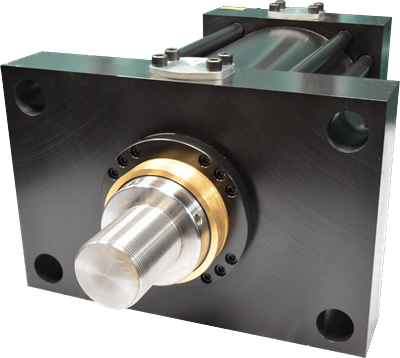 The cylinders have a standard rate of 250 PSIG pneumatic and 500 PSIG when it comes to hydraulic service. Starting with the idea of wanting to upgrade the experiences of customers all around the globe, the engineers at Fabco-Air continually produces innovative fitting and valves for their clients. Believing that the power of combining function and ports can lead to a revolutionary for everyone in the workplace environment, they have found a way to save time, space, and plumbing as a whole. Their technological advancements and high-end product quality are intended to make their products last a lifetime.